It's been weeks since the nation became obsessed with -- then subsequently forgot about -- Rachel Dolezal. In choosing to identify as a black woman, Dolezal introduced the concept of being transethnic or "transracial" into the mainstream. Faulty comparisons to Caitlyn Jenner and the transgender community abounded, and many commentators (including myself) rejected them, arguing that being transracial "is not a thing." I've since learned that being transracial is a thing -- just not in the way Dolezal interpreted it. The first known use of the word dates back to the 1970s. Transracial applies to those adopted by parents of another race. It's an experience often overlooked, and a vibrant community of transracial speakers, writers, and activists have come forward in the wake of Dolezal to take back ownership of the word and their unique identities. What have their experiences been, not only in the wake of the scandal, but in their day to day lives? What does it mean to be transracial? For many transracial adoptees, to reclaim "transracial" is to reclaim themselves. 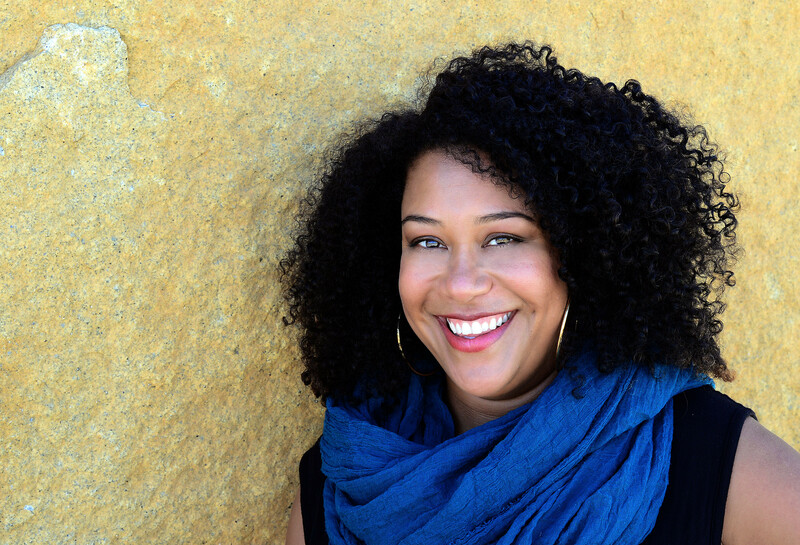 Angela Tucker, a transracial adoptee and subject of the documentary "Closure" has been vocal about the importance of acknowledging this complex identity. Tucker, who is black, was adopted by a white couple in Bellingham, Washington when she was a baby. "Identifying as a transracial adoptee has a lot of power," Tucker told The Huffington Post. "It unites a whole group of us instantaneously, in the sense that transracial adoptees understand what it means to grow up in a community of people and all the nuances, complications, complexities that come with growing up like that." Throughout her life, it's been vital to understand and accept her blackness in the context of being raised by white parents. "It doesn't mean [transracial adoptees are] trying to be a different race than what we physically present, but it does help to unite us in the sense that we know there are pieces of ourselves, emotionally, that don't match with what society perceives of who we are," she said. The challenges transracial adoptees face are numerous. They may grapple with loss of a connection to their birth parents, and they may also struggle with their racial identity. They must navigate racism, sometimes with little to no preparation for the realities of being a minority -- simply because their parents haven't had to. For that reason, in 1972, the National Association of Black Social Workers issued a statement suggesting that the adoption of black children by white families was just "further assignment of chattel status to black people" and "unnatural." While the NABSW manifesto was extreme, there's been constant debate surrounding the adoption of children of color by white people -- is it natural? Is it ethical? To writer Lisa Marie Rollins, a black and Filipina adoptee who wrote the one-woman-show "Ungrateful Daughter" this is the wrong question. "‘Is it right or wrong? Is it good or bad?’ That's not even the question, it doesn’t matter. It's gonna happen," Rollins says. Rollins was adopted by a white couple in the 1970s and raised in Washington state, later living in Southern California during her teenage years. Her parents were descendants of Yugoslavian immigrants, blond-haired and blue-eyed, in complete contrast to her tan skin and curly hair. Rollins said that growing up in a community where she had very little interaction with people of color left her isolated, despite having a generally happy childhood. "I consider myself to be a black woman, I don’t think that I said it out loud until I was probably at university. [My childhood] was full of confusing messages around race, lots of hurtful things that happened around race, not in my family but outside in the community. My parents didn't necessarily have the tools to help me deal with that. I was out in the world as this vulnerable little black girl and people are of course treating me as a little black girl and as a black youth, and then as a black adult. Learning how to navigate those things by myself was really challenging." For many transracial adoptees, having parents who lack the inherent understanding of what it means to be a person of color contributes to difficulty defining their own identities. 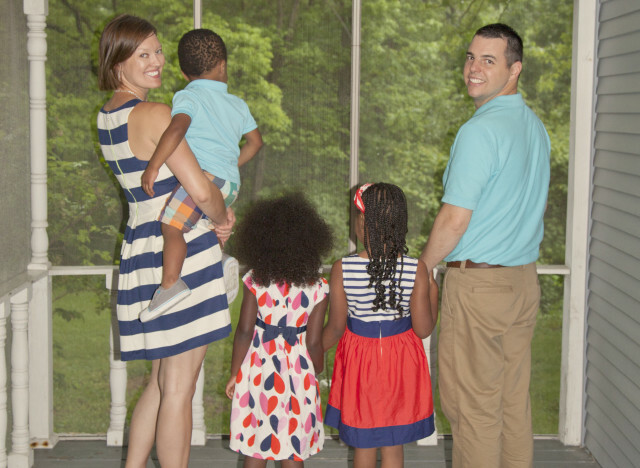 Transracial and adoption activists believe that it's a responsibility of adoptive parents to engage with their children's race, rather than trying the colorblind approach. 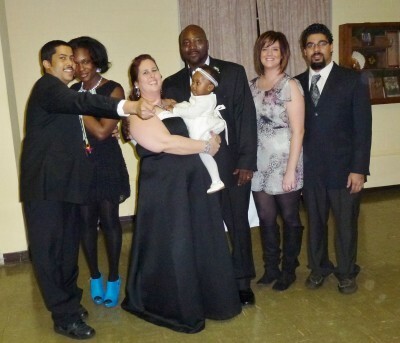 Adoption agencies like the PACT Adoption Alliance are working towards educating white families with children of different races, in an effort to address some of these issues. 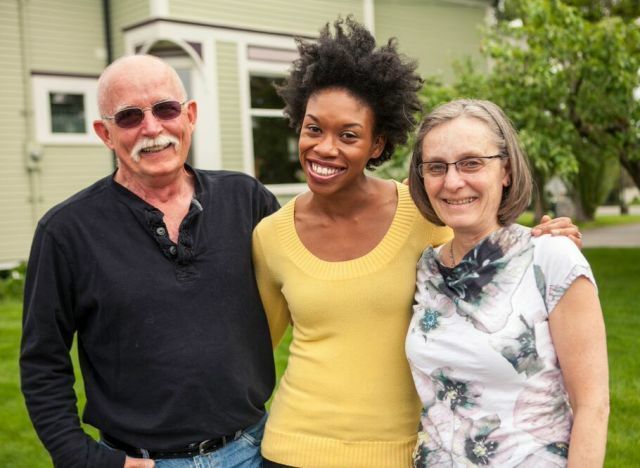 Prospective adoptive parents are offered pre-adoption consultations and workshops that teach them everything from how to talk about race to connecting with families of color. It's a first step. "My parents provided many opportunities for me to interact with a diverse range of people, they made a concerted effort for me, and my other siblings, for all of us to learn about our birth cultures and our heritage," Angela Tucker said of her upbringing. "They gave me a DNA test, not just to find my birth parents, but also to learn about my ancestors who were in Africa, where my ancestors were from. So, you know, my parents did a lot of things. But none of that will automatically help to instill a sense of identity. That comes through a lot of growth and hard work. " "White Sugar, Brown Sugar," blogger Rachel Garlinghouse has taken an active role ensuring her three black children are able to engage with race and their own racial identity in a positive way, but she still recognizes the hurdles she and husband Steve face that there may be no easy fixes for. The mom has written extensively about being a white parent raising black kids during a time when police brutality and racism have been huge topics of discussion. In a HuffPost blog post, she recalled the first time she witnessed racism against one of her daughters. "The girls were riding their bikes in the driveway, and a white male drove by our house and screamed the n-word at them. For the first time I really witnessed what it meant to be black in America. They’re innocent, they’re just riding bikes in the driveway and someone just decided to do that." Explaining the realities of racism hasn't been easy for Garlinghouse. "I live near Ferguson, and it was on the news for months on end and it was just heartbreaking to watch. My daughter was like ‘Who’s that boy on the screen?’ and I didn’t even know what to say to her in that moment. That's why if you’re white with black children, you need black friends to rely on to help you navigate parenting," the mom told HuffPost over the phone. Later, she came to look at the episode as the reminder of a devastating truth about her own privilege. "Right now, my kids benefit from our white privilege, when we go out, they're given more benefit of the doubt. But it really frightens me because one day my kids are going to be out without me -- and I’m not going to be able to protect them." Transracial identity, like all identity, can be such a nebulous thing. Some adoptees feel untethered, or as if they're forced to choose between sides. Many experience an intimate, insider relationship with whiteness and white privilege while simultaneously experiencing racism. Blogger Katakasrainbow described that in-between plainly as the word "transracial" began to trend. "I wasn't really black due to a lack of present black parents and family, but I could never ever ever really be white either," she wrote. Now that the Dolezal story has blown over, it's this in-between, these stories of dealing with racism while navigating both white and black spaces, that more and more transracial adoptees are actively attempting to shine a light on. Frank, open, and in-depth conversations about race, culture, and identity is what the transracial community really needs. But more importantly, members of this community need the access and autonomy to share their stories and their truths -- without them being derailed by a woman named Rachel.